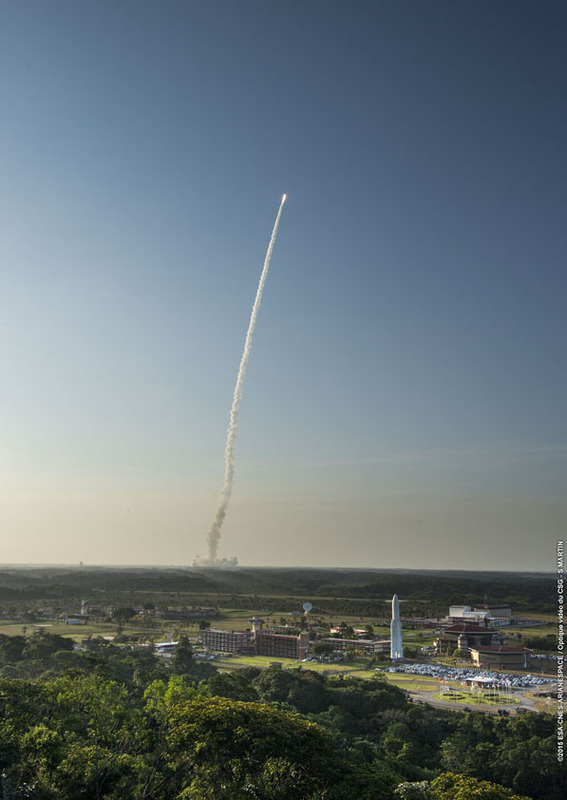 Today’s launch was the ninth of the year in nine months, a record for the Arianespace launcher family, and the fifth of the year and 68th successful launch in a row for the Ariane 5 heavy launcher. 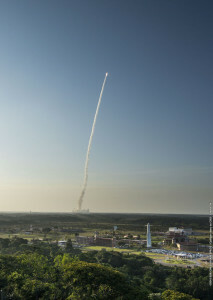 It lifted off at 5:30 p.m. local time from the Guiana Space Center (CSG) in Kourou, French Guiana. Arianespace is especially proud of being chosen to launch the Australian operator nbn’s first satellite. Shortly after the announcement that the two satellites had been injected into orbit, Arianespace Chairman and CEO Stéphane Israël said: “We are especially proud of our mission success this evening for two regional operators in the southern hemisphere, nbn and ARSAT, and we have already established real partnerships with both customers. With 400 satellites launched since its beginning, the Ariane family can celebrate a real ‘Triple A’ achievement this evening for Australia, Argentina and Arianespace. Thanks go to our clients for their confidence, and bravo to SSL and INVAP for their contributions to this success. Built by SSL of Palo Alto, California, using a 1300 platform, Sky Muster weighed 6,440 kg. at launch. It is fitted with 202 Ka-band transponders and will be positioned at 140° East, with a design life exceeding 15 years. Built by INVAP, Arsat-2 weighed 2,977 kg. at launch. It is fitted with 26 Ku-band and 10 C-band transponders. It will be positioned at 81° West, and offers a design life of 15 years. 517th and 518th satellites launched by Arianespace. On the 226th Ariane mission, the launcher carried a total payload of 10,203 kg, including 9,417 kg for the two satellites, injected into their targeted orbits.